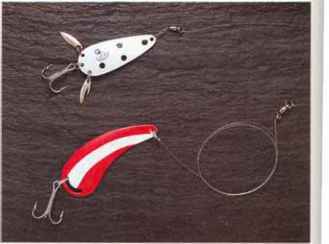 Some professional anglers will tell you that a spinner should imitate a juvenile fish, which swim side to side instead of going in a straight line while others say it does not matter. The main thing is that the spinner should excite the trout by the reflection of the blade as well as the vibration and sound created from the pulsating motion. A spinner that is working correctly should do one thing - excite the trout to the point of a strike but not so much that it becomes spooked. Excitement to trout is a combination of provoking fear, intrigue, and mesmerizing them.